Can a load cell adapter plate or block be interchanged without introducing additional error? This blog will attempt to answer this question. The answer is maybe. If the new adapter consists of the same material and has identical characteristics, then it may be able to be substituted, without introducing additional error. Though, some material will harden with repeated use and there could be a difference. It is important the material of the top block be softer, has a lower hardness, than the load cell it is used with. If a top block is replaced, the recommendation is to have the force measuring equipment checked, or calibrated to ensure errors are accounted for. · Using a top adapter with a different hardness value may affect the strain level in the load cell column or web; and therefore, result in different measurement outputs. We have observed errors of up to 0.15 % from varying the material on top compression pads. 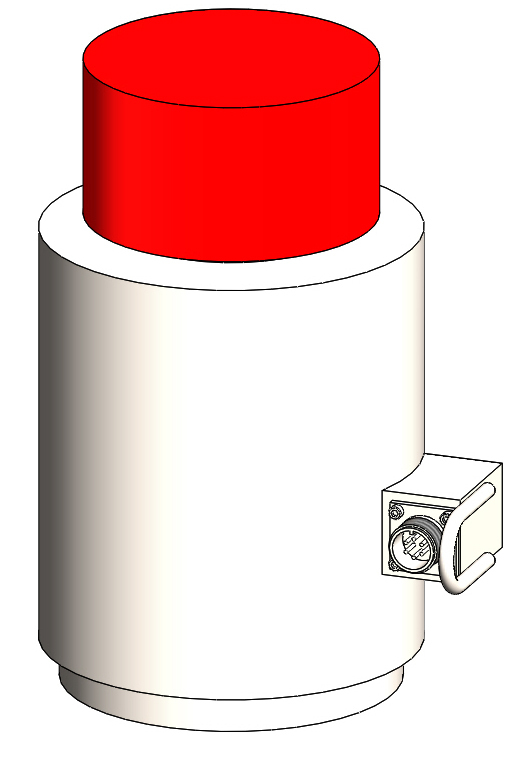 We highly recommend the end user send us the top adapter they are using with the load cell, and even load cell bases. If either adapter is not ground flat, additional errors could result. We have conducted several tests and have found repeatability errors to be about 3 times higher, when the compression pads or load cell base is not flat. Morehouse has a full machine shop and can grind top adapters for a nominal fee (typically $30 to $40 per block). Real World Example: A customer brought in a 1,000,000 LBF load cell for calibration. Morehouse performed a calibration. The output of the load cell was recorded as 1,500 LBF higher than the previous calibration for a force applied 1,000,000 LBF. Is this a stability issue, or an adaptor issue? After calling the customer, we were informed a new top loading block was supplied with this load cell for the current calibration. When we told them what was happening, they sent the original top loading block. When tested, the original block resulted in an output of 1,000,180 LBF when loaded to 1,000,000 LBF. When using the new adaptor and figuring the measurement error between the different top blocks (adaptors), Expanded Uncertainty would have increased from 269 LBF with original top adaptor to 1,490 LBF using the newly fabricated adaptor. 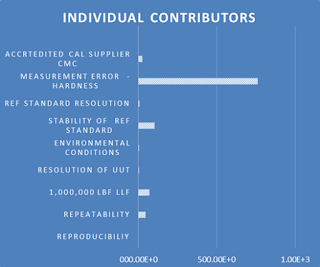 The individual contribution to the overall measurement uncertainty was dominant. More information on this error and other common measurement errors, can be downloaded here.